Shozo Michikawa The pots made by Shozo Michikawa are chameleonic. Their colour changes according to the hour, or in response to context. If one pot holds one flower, a leaf or branch, the vessel enhances that fleeting expression of nature. A pot standing alone maintains its own idiosyncratic dignity. There is a rare magic in this work. It is revelatory, the invention of a man with an exceptional intellectual impulse. Michikawa has a touch that is harsh yet poetic, disquieting yet seductive. His pots may at first look as if they have been constructed. This is misleading, for they are not constructs they are sculptures, each one a three-dimensional work that evolves from a lump of clay, a dead weight on a wheel. The process is one of spin, cut and thrust, replacement and repair, in part completed by delicate surgery. From a western point of view these artefacts are as mysterious as haiku, the seventeen syllable Japanese poem. But I think their source is not literary and more likely to have come from landscape itself, possibly affected by the armour of the samurai, the silhouettes formed by people wearing kimonos, and the variety of landscape and daily existence recorded by Hokusai. In anticipation of Michikawa’s fourth exhibition in London I have been reviewing the pots already here and looking at photographs of his latest works currently on the way to London. As I expected, the pots of yesteryear hold their appeal. At first those that are travelling appear similar to their forebears, but on closer study their subtle difference becomes clear. The quiet excitement generated by their fresh nuances make me long to see that promise turned to reality. What should be expected? With the advantage of hindsight, revisiting Michikawa’s work it becomes clear that he was and is aware of nature’s doubledealing; reasonable most days, often balmy, occasionally murderous and destructive. The gales that rip trees from the earth, the waves that plunder the seashore and carry off men, women and children, the earthquakes that toss aside roads, railways, homes and factories are predicted in the vertical spirals that recur with increasing vehemence and frequency. Omens of disaster lurk in his work. Nature at its wildest, nature at play and nature in repose; this man has nature’s ever changing pulse in his fingers. ‘I was born in a small town in Hokkaido, Japan; in front of a lake and behind a volcano, hot springs and mountains.’ In this sentence, Michikawa makes clear his modest background and his life-long obsession with the physical world. It is self-evident, art is his master, and equally clearly the volcanic eruptions of Mount Usu continue to inspire his ceramics. Nature’s turbulence pervades and invigorates Michikawa’s oeuvre. In the flesh he is a man of warmth, one with a contagious sense of family, community and friendship. When his pots are in use, dressed with carefully-chosen branches, flowers or grasses, they are elegant, seductive, charming. Undressed, the twists can be hostile, foreshadowing disaster. Amphoralike cylinders, split at the neck or apparently patched and bandaged, may suggest death or disaster. For some thirty years this thoughtful and ingenious potter has lived in Seto, a town that has housed potters for 1300 years. While he says the town has nurtured his work, Michikawa accepts he cannot totally control clay, as it is a substance retaining its independence, until overwhelmed by heat. 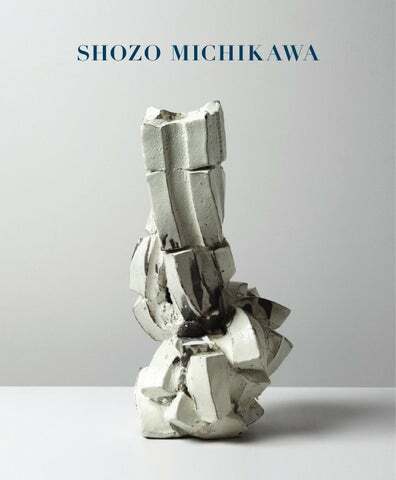 Shozo Michikawa : CV / Exhibitions Shozo Michikawa was born in Hokkaido in 1953. He studied at Aoyama Gakuin University, from where he graduated in 1975. He lives and works in Seto, Aichi. 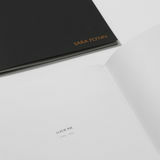 He has exhibited widely in Japan and also in the Philippines, Mongolia, France, New York and London. In 2005 he was honoured with an exhibition at the Forbidden City in Beijing. Public Collections Qinglingsi Temple, Xiâ&#x20AC;&#x2122;an; China-Japan Exchange Center, Beijing; Philadelphia Museum of Art; National Museum of Wales, Cardiff; Aberystwyth University of Wales.